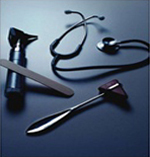 Supplying all your medical and surgical supply needs. With over 9000 items in stock, The Mixon Group, Inc. carries a complete line of medical and surgical supplies from prime vendors in the industry. We carry products by Kendall, Smith & Nephew, Convatec, Becton-Dickinson, Hollister, and many more. The Mixon Group, Inc. understands the challenges that providers face, to deliver quality health care in a cost effective manner. Finding the solutions to those problems is what we do best. We are confident that providing great products at competitive prices with exceptional service, will lead to a long-term business relationship. We will look forward to doing business with you soon. We can be reached at (714) 280-0904 or fax us at (714) 280-1255. © Copyright 2009. TheMixonGroup.com. All Rights Reserved.